Bust out your gas mask and appetite for canned peaches, because The Libertinis are taking you down...underground! Join Seattle's sexiest inter*arts gang in the '50s most fabulous fallout shelter. Welcome to ATOMIC FALLS, USA! 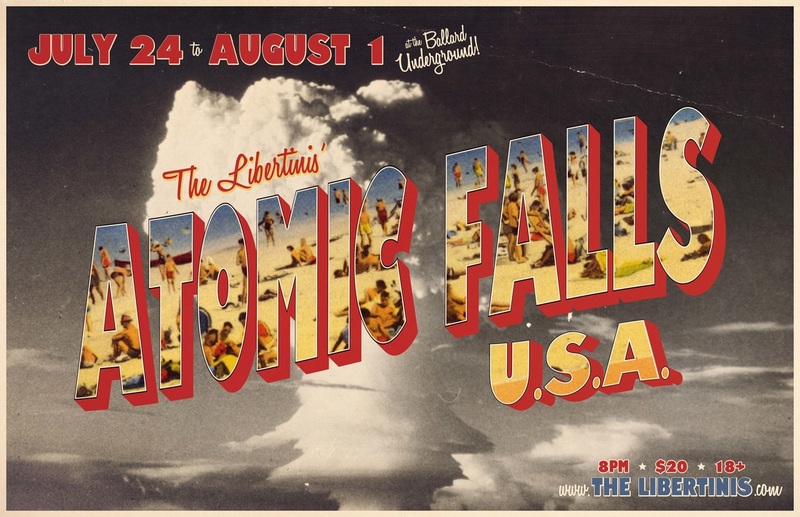 ATOMIC FALLS, USA - a devised play fashioned by The Libertinis with Max Kirchner - chronicles the exploits of a 1950s subterranean community forced into an exquisitely-outfitted fallout shelter after an atomic event too hot to handle. As the days in the bunker tick by, morale plummets. What are sock hoppers to do to stave off boredom, dodge self-destruction, and cling to their sanity? Why, band together and create something spectacular...with plenty of jello molds, social dancing, and the Bombs Away Revue!